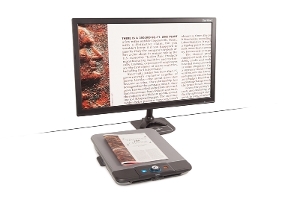 The Optelec ClearView C Flex is a unique video magnifier that you can use at home, office or school. 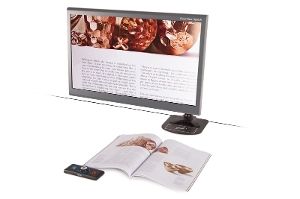 It helps you to keep your desk free and still enjoy the support of a video magnifier. 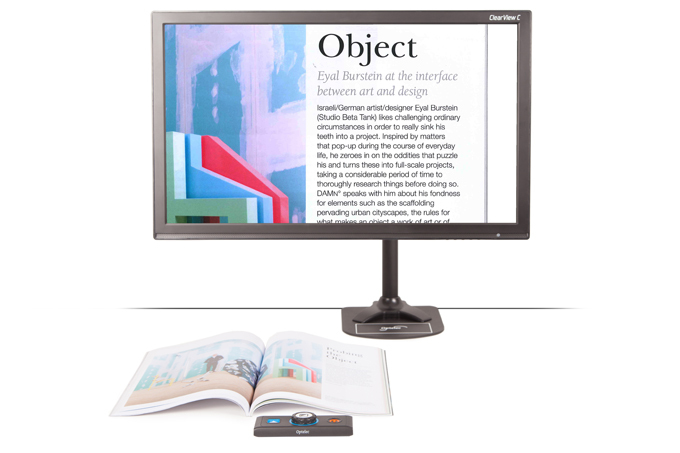 The ClearView C Flex enables you to read documents, do your hobbies or work with your PC. The ClearView C Flex looks like any other monitor. It perfectly blends in with your environment. Nobody will notice that it is a desktop video magnifier. The ClearView C Flex takes up less space on your desk, so you have more working space than with traditional desktop video magnifiers. 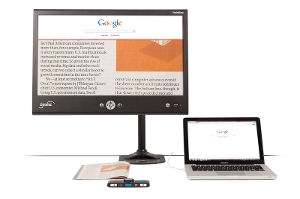 This allows you to read and work more comfortably. 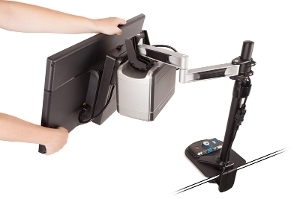 Because of the flexible arm, you can easily put the ClearView C Flex in the position you prefer. Pull it towards you to read your mail or newspaper, or position the monitor further away when you don’t need it. The ClearView C Flex is available in several setups, so you can pick the model that suits you best. Would you like to try the ClearView C Flex yourself? No problem. Thanks to our worldwide distribution network, you have the possibility to request a demonstration in your own home. Would you like to find out more about the ClearView C Flex? Visit the online product page to browse photos, watch videos, or discover the product specifications online.